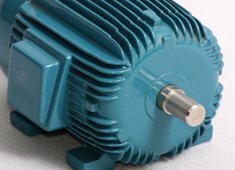 Welcome to the Arrow Motor & Pump website. We exist only because of you – our customers! We look forward to meeting with you in person and invite you to bring us your motors, pumps and blowers so we can repair or replace as necessary from our inventory. We are available 24 hours a day, and can be easily reached at our shop Monday through Friday, 8:00 am to 5:00 pm. Don't have a need for us yet? Then we invite you to keep in touch through our website as it continues to mature. We will soon be offering access to product catalogs, product updates and helpful data regarding equipment maintenance. Eventually even your purchase orders and cash sales will be available online! The contents of this webpage are Copyright © 2019 Arrow Motors. All Rights Reserved.